G-WORLDWIDE HAS PAID KISS DANIEL OVER NGN 120 MILLION NAIRA & SINGER ACCUSED HIS FAMILY MEMBERS OF BEING FETISH. HomeNEWSG-WORLDWIDE HAS PAID KISS DANIEL OVER NGN 120 MILLION NAIRA & SINGER ACCUSED HIS FAMILY MEMBERS OF BEING FETISH. who we fear is being given bad legal advice. However we feel it is important that we set the records straight for the benefit of the general public and others who are interested in knowing the truth. Firstly, we would like to reiterate that our organization’s sole mission is to scout, develop and promote artistes till the point where both partners become profitable and the artiste can then decide to continue their creative journey as they deem fit. Contrary to widespread insinuations (and though we love a good joke) we are not a slave camp and we have no time whatsoever held any of the talents on our roster against their will. The issue of restrictions on collaboration by our artistes is one which has been well flogged and one we will address immediately. Our management policy is unique in that we look for innovative ways to position our artistes to build and own their own sounds and brands before seeking to enter collaborations with artistes from other labels. To this end, we have trained and developed our artistes in a way that ensures that their first albums are well composed and delivered in way that gives them the platform to sell their art as strong individual brands. This strategy is not without its results as is evidenced from Kiss Daniel’s debut album “New Era” receiving much positive reviews and landing the 8th place on the Billboard’s World Album Chart within a week of release. The Nigerian music industry is very competitive, and as such it is pertinent that players in the market develop unique strategies to break in and remain relevant. The New Era album of Kiss Daniel therefore only contained collaborative efforts with his label mate Sugarboy. However, on the soon to be released album ‘Evolution’ by Kiss Daniel, we have worked with other talents such as Phyno and Olamide. Sugarboy has also collaborated with Y-Cee on a song due to be released in January 2018. There have also been issues raised that the company has not made available its books of accounts to Kiss Daniel, leading to him filing an action at the Lagos State High Court seeking an order granting him access to the books of the company. Whilst our lawyers have filed the necessary papers to strike out the suit, it is pertinent that we briefly note that at no time have we denied the artiste or his lawyers access to our books. With the facts we have, we believe that the suit was a ploy to misdirect the public away from his untimely and unlawful exit from the company.The label has records of email correspondence with Kiss Daniel where he and his representatives at different times requested for books of the company and same were supplied to them. All these have been placed before the court in response to the suit filed by the artiste at the Lagos State High Court. Until now they are yet to respond to papers filed challenging the competence of that suit. Sadly too, even though Kiss complained about access, in another breath he has admitted the audits held between his accountants and the label’s accountant. 1. Contrary to rumors making the rounds that Kiss Daniel was only on a NGN 30,000 salary since he joined the label up until after the release of Woju and Laye singles, this is nothing but falsehood. Before the release of those singles in 2014, Kiss Daniel was put on a monthly allowance of NGN 30,000 whilst he was still in his father’s house in Kuto, Abeokuta, medical allowance of NGN 150,000 and other unrecorded stipends whilst no revenue was being generated by him. This remained the norm while the label invested in recording sessions, productions, transportation, and other costs associated with developing him as an artist. 2. Loans of up to NGN 550,000 was given to him within 2 weeks of hissigning onto the label for him to get a car for his mom to start a Taxi business. There are documents to back this. In addition following his request for financial support for his dad’s burial,G-Worldwide released the sum of NGN 200,000 which was exactly what Kiss Daniel requested for. As recent as October 2017, he again requested for a loan to run his account in order to acquire a house for himself under a mortgage, to this end the company released NGN13,000,000 (Thirteen Million Naira)to him though the company was not obligated under the contract to do so. 3. As per the contract between Kiss Daniel and G-Worldwide, the label was meant to recoup its investment before any royalty sharing was to commence; the only provision available for the artiste was allowances and loans which was at the discretion of the label. In June 2015 following his return from UK tour, the company amended the contract and immediately began the payment of royalties as agreed and from that time till the wrongful termination of his contract, G-Worldwide has paid Kiss Danielthe sum of NGN 117,233,318(One Hundred and Seventeen Million, Two Hundred Thirty Three Thousand and Three Hundred and Eighteen Naira) as royalties from performances alone, he has also received money from other incomes to the sum of NGN 3,296,826.40(Three Million, Two Hundred and Ninety Six Thousand Eight Hundred and Twenty SixNairaand forty kobo)for the financial record of 2016 as opposed to the false allegations made by him and his lawyers(The company’sbooks of account support this)As it stands, Kiss Daniel owes G-Worldwide Entertainment quite a large sum of money for the financial year due to end in 2018. 4. Following the signing of the contract in 2013, Kiss Daniel moved into an apartment furnished by the label in April 2014 in Lekki Lagos and only moved out in October 2015. Despite the terrible picture painted by Kiss Daniel to the media, the label actually during that period undertook the payment of all the bills in the said apartment, including waste, power, service charges, feeding, etc. 5. We have also noted the falsehood that at the time of his father’s demise, the label barred him from attending the burial. Let it be on record that immediately the news of his father’s demise filtered in, Emperor Geezy, CEO of the label authorized that his own personal car be used to convey Kiss Daniel to Abeokuta to attend and be a part of his father’s burial and he only requested for a two days leave to spend time with his family and NGN 200,000 to send across to his family people who had to put the dad to the ground immediately and needed an urgent burial and he was bitterly angry and ranting that imagine none of his family members could come up with NGN 10,000 to support his dad’s burial. The company was open to giving him more money but he said the NGN 200,000 will be okay to take care of everything being the fact that the dad was a Muslim and much is not expected to be done. The label CEO’s brother even accompanied him on this trip back home, as well as one of the label’s staff. Interestingly on arriving at a hotel in Abeokuta which had been fully paid for by the label, he refused to attend his own father’s burial on the grounds that he believed that his family are fetish and is father death is not ordinary with the way he suddenly fell sick and died after going through a lot of pain, and he is scared and will not want to be exposed to any dangers. On the same night of his arrival at the hotel is younger brother was on his way to visit him, sadly we were informed that the brother just got involved in a car accident. 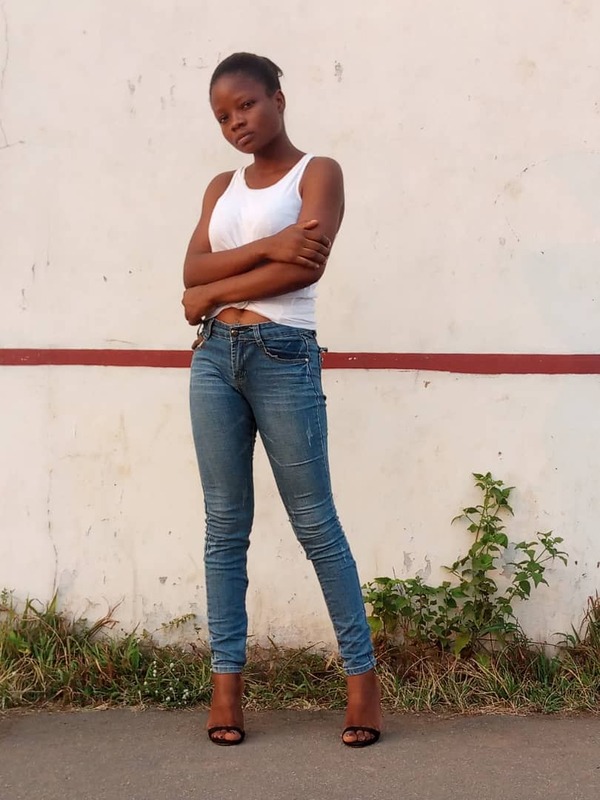 The label took care of his brother medical bills in full up to NGN 300,000 and even assigned a staff of the company to stay with him at the hospital for about 8 days to take care of his needs until he was deem fit to bedischarged. Kiss Daniel left Abeokuta the next morning for Lagos without attending the burial insinuating the accident suffers by his brother was from familiar persons. 6. In response to the claim that Kiss Daniel was barred from supporting other artistes, especially those who supported him and the label at the New Era album launch, we would like to put it on record that at no time has the label barred him from performing at events where friends in the industry have asked for his support. We understand the importance of collaborative efforts in a fledging industry such as ours. Kiss Daniel however has made it a habit to turn up at events late or not at all, always blaming the label for his truancy. Clear examples include his failing to appear at theReekado Banksalbum listening party at Hard Rock Café and the recent 2Face’s (2Baba) Buckwyld 'n' Breathless Concert on 22nd of October, 2017 at Eko Hotel,. He did this even when 2Baba had provided two separate accommodations for him and his manager Louiza Williamsat Eko Hotels, and the label had covered other logistics costs. He stood up 2Baba and manager after claiming he was on his way from 6pm till 1am the next day. He repeated the same show of shame at the Chronicles of Ushebebe and Soundcity’s 2016 MVP Awards. His excuse always being that the label hasrestricted himfrom supporting other talents in the industry. Hisfavorite saying: “You know I’m signed to a label na, I’m not my own boss yet”. One should wonder why his manager would be at these venues to liaise with the event organizers before his arrival, if he wasn’t approved by the label to be at those events mentioned above. His usual play was to ask the manager if money is involved and once she says “no we are going to support” he will either not take his calls once she’s around his house for takeoff, or switch off his phones and later complain that he was not feeling too well or had an urgent meeting at Abeokuta. Last year, many people wondered how we managed to pull off such a massive concert for his New Era album launch with no support from any organization. That event which included the lease of the prestigious Eko Hotels with over 20 superstars was one of the most expensive projects the company ever embarked upon. Nevertheless, we understand that artistes grow with their songs and popularity, and may eventually seek an early exit. That being said, a contract between two parties is a legally binding arrangement and both parties having deployed resources to perform obligations thereunder, the contract has to be executed in line with its terms and conditions. 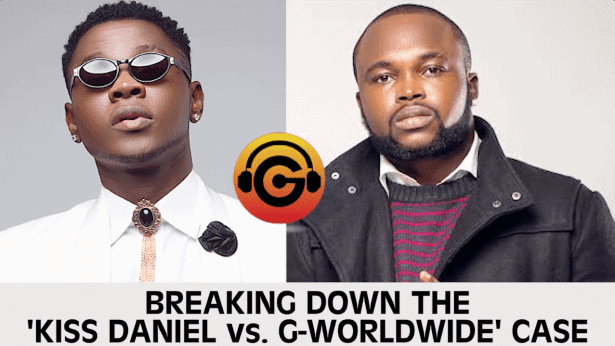 G-Worldwide’s contract with Kiss Daniel simply put, allows for the artiste to exit, but in so doing, he is duty bound to repay to the company all monies expended by the company in furtherance of the contract and all losses including losses suffered from cancellation of fixed events and shows by reason of the termination. The contract is also expressly clear on the fact that intellectual property rights to all the songs produced under the contract including the stage name of the artiste are properties of the company. We know that so far, Kiss Daniel has kept these facts away from the public; choosing to resort to cheap blackmail and whipping up emotions. We will not take this route as a responsible company and this is why we are in court. We have done our best not to harp on the history of his recalcitrance. Nevertheless, we keep being harassed by different lawyers (his present lawyer is the fourth) with outrageous demands, but we have retained the opinion that some terms cannot be imposed on us. Most recently in October, he had demanded, going forward, a 100% of revenues from his performances and endorsements even while he understands his level of indebtedness to us and the terms of the contracts. When he was referred to the contract terms, his response was to serve us a termination notice without even following the stipulations for termination under the contract. He thereafter announced his personal record label in less than nine (9) days after the undue notice and has since been soliciting bookings and infringing on G-Worldwide intellectual property rights by performing songs from the ‘New Era’ album and the yet to be released ‘Evolution’ album. This is the reason for the restraining order of status quo issued by the Federal High Court on the 30th November 2017. Law abiding organizations and business concerns have either contacted us for clarity, which we have provided through our solicitors, Calmhill Partners. Other well advised entities have in support of the rule of law and sanctity of contracts, terminated their engagement with him or removed him from performance schedules. The Nigerian musical industry we believe will learn and grow from this incidence. We have put everyone who wishes to contract Kiss Daniel on notice and advise that you should not allow yourselves be misinformed about the subject matter or be swayed by his misrepresentations or lack of capacity to perform some of the songs that he has been contracted to perform. Whilst we look forward to a speedy dispensation of justice in the matter before the Court, we reiterate our advice that event organizers should consult their lawyers to avoid being complicit in the offence of acting in contempt of court. It remains illegal to deal with Kiss Daniel directly instead of G-Worldwide Management pending the hearing of the suit in Court. All inquiries about Kiss Daniel should be directed to: bookings@gworldwideent.com or call Louiza Williams on +234 817 540 3350.